What is the Hurqalya Method? The Hurqalya Method™ is Healing from the Heart. The waves of your heart are 100 times more powerful than your brainwaves. We use the power of the Heart to give relief and create vibrant harmony in your body, mind, and spirit. Our ultimate goal is for you to experience perfect health and balance while spontaneously living from your heart. We call this being “Heart-Centered”, and it is very different from living in your head. Life becomes filled with love, harmony and beauty in this state. The heart is the center of our energetic body. Energy healing has to address and use the power of the heart to be successful. There is very solid science supporting energy healing. Authors such as Jim Oshman, Rupert Sheldrake, and Claude Swanson have all written extensively about this research which is on the edge of mainstream scientific acceptance. Even the FDA is approving devices that emit pulsed electromagnetic frequencies. Our experience is that our hands and hearts are more sensitive, wholistic, and powerful than machines will ever be. The Hurqalya Method™ is based on Heart Rhythm Meditation (HRM). This is a very ancient form of meditation used by the Desert Fathers (200-300 C.E.) and earlier mystics. It has been revived by Susanna and Puran Bair, co-founders of iamHeart, Inc. More precisely, Susanna and Puran received guidance and inspiration for this heart centered meditation, and then discovered this was the same meditation used by the Desert Fathers and Mothers. (Called Abbas and Ammas.) It is also found in the writings of the ancient Sufi mystics. These mystics were extraordinary healers. Heart Rhythm Meditation is an energy meditation of the heart. See iamheart.org to learn HRM. Most people are familiar with Mental meditation. In this style of meditation the mind is used creatively (eg visualization, etc) or the intent is to develop a quiet mind. This has its own great value, but for healing our experience is we need energy to transform the body. If you have ever noticed how your mind justifies what your heart wants, you know the heart is the master and the mind is the servant. So HRM develops and heals the heart. There are three levels of Hurqalya Method™ Click here for more information. Who developed the Hurqalya Method? Just put both your hands over your heart for a minute or two. What is your experience? Many people feel their heartbeat for the first time ever. More importantly, when you connect to your heart, do you notice the settling down, the shift in your “presence” or “atmosphere”? What does that feel like? How would your life be if you lived with this Heart presence all the time? This is just the start of Heart centered living. Heart centered healing arises from this same magnetic Presence. So we touch our hearts in gratitude. Let us also acknowledge the Universal Heart. The Universal Heart holds the Source Field, the vast field of Infinite Spirit, and the energetic source of creation. Love, Light, Consciousness and all the Divine Qualities emerge from the Universal Heart, which also contains all of our own hearts. It is the ultimate source of healing. May we open our hearts in love to receive these universal blessings. Our Hurqalya School of Healing is a part of iamHeart, Inc. iamHeart is a spiritual school that honors and draws inspiration from every ancient spiritual tradition. 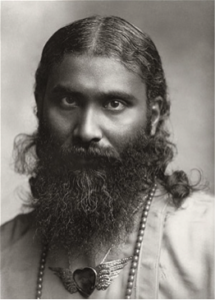 Most significantly, we are connected to the great Sufi teacher Hazrat Inayat Khan (d. 1927). HIK brought the universal values of Sufism to the West and made them available to anyone regardless of religious background. 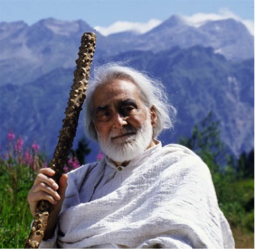 He was a powerful healer and had such a magnetic loving presence that an international organization sprang up around him quickly after he left India. We gratefully acknowledge his teachings as the source of this path of the Heart. Pir Vilayat Khan (d. 2004) was the son and successor to HIK. He was a great spiritual teacher and a prolific author. He kindly and carefully cultivated the hearts of both Susanna and Puran Bair to prepare them to bring the message of the Heart to the world. In 1989 he gave Puran and Susanna the blessing to create their own school of meditation – a school that should last 700 years. Today we call this school iamHeart, Inc. We bow in gratitude for the role PVK played in developing this school we so dearly love and respect. One part of the Hurqalya Method (level 2) is influenced by Ms. Ethel M. Lombardi (d. 2009) from Wisconsin. She founded a spiritual healing form called MariEL, which attunes to Mother Mary. It is Susanna and Puran Bair who have carefully researched the teaching of HIK and PVK, and understood these teachings through the lens of their own heart-centered experiences. Puran and Susanna have created a remarkably new and different type of spiritual school. Most spiritual schools focus on consciousness, having a quiet mind, and the development of the higher chakras etc. Puran and Susanna saw through the eyes of their hearts that it is the Heart that is central to our spiritual progress. We live in a physical plane, we are energetic beings, and we cannot ignore our bodies and lower centers/chakras in our quest for spiritual growth. Puran and Susanna teach that it is the Heart that is the key to integrated spiritual growth. We are utterly grateful to Puran and Susanna for so carefully researching the work of HIK on healing and then teaching us this extraordinary process of healing from the heart. Thank you, dear Teachers. You have blessed us all with your generosity and love. Hurqalya is an ancient Zoroastrian word from Persia. It refers to that space or gap between the manifest and unmanifest realms, or between the visible and celestial invisible realms. We access this level of life during the Hurqalya Method™ healing sessions. This Hurqalya level is the doorway or portal to the Universal Heart. The Universal Heart is the home or abiding place of the great universal Qualities or Beings that we resonate with and draw upon in our spiritual healing practices. Sessions are comfortable, private and easy. Depending on your preference and the perception of the practitioner, you may be seated or lying down on a massage table for the entire session. If this is your first session, your practitioner will review your intake form and ask for any clarifications needed. It is very useful for you to have a clear intention for the kind of healing you would like to have happen. However, there is a distinct difference between a Hurqalya Method™ healing session and other healing sessions you may have experienced. First, we do not touch you in our style of healing. The beating of our hearts creates a strong electro-magnetic field around us, and we want to use this field completely. Touching your body tends to cause the hands to experience only the electrical component of the electromagnetic field. Second, the practitioner will meditate on you at the level of your heart. This could happen right when you arrive, or it may have been done before you arrive. This style of meditation is called contemplation in our school. The heart of your practitioner will open up and invite your heart to merge and communicate whatever needs to be healed. Most people are not conscious of this heart to heart connection, but it is a powerful tool for deep healing and transformation. Your heart may choose to open up or not; certainly that is its choice. However, the nature of the heart is to love and join in union, so this is the natural path of the heart. After this heart attunement, your practitioner will feel your energetic body with her hands (Level 1), and then begin balancing and healing the wounds of your energy centers/chakras (Level 2) It is quite common for the practitioner to feel energetic hot spots, wounds, etc in your energy body. She may ask you about your experience – what are you feeling, what happened at this age or in this area of your life? Etc. This is NOT therapy, but typically your attention on these parts of your life will pull up more energy to be balanced and healed through the hands and heart of your practitioner. By connecting this energy work with speaking about your life, our experience is that you will have far deeper healings of patterns and wounds than you have ever experienced. You become free to adopt new, more useful and fulfilling patterns in your life. Your session may end with an invocation or a song or a very short ceremony of gratitude. Naturally, rest, drink water, and be gentle with yourself as you ease out of the deep space of healing. Click here to read more about the 3 Levels of Hurqalya Healing. What does the Hurqalya Method practitioner experience when giving a session? During a session, first I attune: Invocation, prepare my hands, tune to heartbeat and breath, pause to remember, trust in whatever happens, and ask the client for intention. I begin laying the lines and, as I continue with the form of that, I wait. I wait for my attention to be drawn. Where is the growing edge, the open door? What is asking to be seen? Often, at some point, I will begin to sense a quality. It could be love, or light, it may be peace, mercy, compassion or joy… And it may come with a plea that feels as if it’s saying, “Here, attend here. This is where I want to be seen.” Perhaps the quality is love (as it so often is). I will first have a sense of the quality and then, what conceals that quality begins to appear. Perhaps chaos arises obscuring the love, or it is encapsulated in a membrane, or as soon as I sense the desire of love to come through, it slips away – a feeling of not being safe arising in its place. Whatever comes, that’s where I go. I follow the energy trail. Not safe for love here? What is the feeling of “not safe”? I stay with the feeling of not safe for as long as I am called here, which might be a minute, might be ten or fifteen minutes. As I sit with it, maybe it continues to open… Not safe because the love will be taken away, I’ll be left alone, separate. We begin to follow “alone, separate.” What does it mean to be alone? Such a universal experience… aloneness, separation. Who hasn’t felt this? How exactly does it manifest for this person? No opinion, no judgement, nothing to conquer or to get through. Rather, observation, awareness, and witnessing. We simply follow the experience of what is aloneness for this person. As I finish laying the lines, I go where I feel the pull most clearly. Maybe I run energy between a chakra pair, or from the heart to the relevant chakra. Perhaps I stay with one energy center and witness whatever comes. Bit by bit the feeling of “alone” begins to unfold. A memory of being left out, or chastised, or ridiculed. The sense of “not belonging”, of separation, becoming more clear. Wave after wave of moving into the experience, into the bodily sensations of separation. Keep returning to the experience of the body, and of the heart. Where do you feel it in your body? Can you describe it? What is your breath doing? Is it fast? Slow? Rhythmic? Deep? Are you holding your breath? Is the sensation changing? Moving? Lessening? More Clear? Less Clear? What is happening in the Depth of your heart? What is the emotion? Can you name the experience in a word or a phrase? Notice if, as we move with these waves of sorrow, of separation, the sense changes? What is the feeling of not being loved? How do you sense it? What is the experience of not belonging? Of abandonment? What is the experience of separation from Source? From Union? Can you drop so deeply into the experience that you go beneath the level of words into the pure experience? We follow the thread of energy… where is it now? …. and now? What is the experience? Occasionally, the trigger for the emotion may have come from a small isolated exchange. A neighbor spoke with harsh judgement to the client. We work with the pain that arises from the interaction, be it grief, fear, not belonging, anger, maybe all of these. Sometimes by the end of the session they have integrated the experience and its attendant emotions deeply enough that it is no longer a trigger. More often, even a small wound can cascade us into the bigger cauldron of our deepest fears and sorrows. Once there, we have such an opportunity to bring light into these darkest places. Though we are perhaps unlikely to move through our deepest sorrows in one particular session, still… every time we look at what is true without trying to change it, but just to experience it, because it IS what is true, our hearts expand and we become more able to allow all of life to move through us. Here, finally, in the depth of our heart is not only where compassion is born but where, when we open to our deepest feeling of separation, we find Oneness. Thank you, EK, for this beautiful description of loving your client! How is this different from Reiki and other methods of energy healing? We are grateful for every school that teaches Energy Healing. We are clear that energy healing is the wave of the future and every one of these schools adds to mankind’s knowledge of energy healing. All the schools have a different purpose and different degrees of training. There are many schools of energy healing where you can take a weekend workshop and be certified as an energy healer. This works because energy healing is very natural and the basic levels can be taught quickly. What is unique about the Hurqalya Method™ is the heart-centered nature of the healing process. It takes a minimum of 18 months of training to develop the energy levels and heart-centered nature that allows for Hurqalya Levels 2 and 3 to happen. We actually recommend you take a 2 year University of the Heart program before you train to be a Hurqalya Method™ practitioner. This is quite different from being able to “read” or feel energy patterns in another person. There are schools that teach this, but there is still a separation of client and practitioner. The real healing takes place in Unity. This takes great practice and development on the side of the practitioner. Done properly, every Hurqalya Method™ session is a deep meditation experience for the practitioner while being deeply healing and balancing for the client. This depends on your practitioner and your location. Most practitioners charge about $100 for about an hour long session, but this could be higher or lower. Many practitioners have a sliding scale in cases of financial hardship. Typically a session lasts about an hour but every practitioner will make this decision. How do I learn and get certified to be a Hurqalya Method practitioner? Every Hurqalya Method™ practitioner has taken an intense and comprehensive 18 month course to develop their own energetic body. To do the kind of energy work we do requires the practitioner to be very heart-centered and to have a very strong and stable breath. This takes time and an extended meditation/breathing practice. Most Hurqalya Method™ practitioners will meditate an hour or two every day. This is why we get the results we do. We recommend you take the 2 year program offered by iamHeart Inc. (the University of the Heart) prior to taking the 18 month Graduate Program in Hurqalya Healing. We know it is never satisfying to hear “That all depends…”, right? So let’s not say it. Instead let’s acknowledge the challenges in answering such a question. How deep is this issue for you? Is this the first time this problem or pattern has shown up in your body or life? Recurring patterns take longer to shift, naturally. How emotionally difficult is this situation for you? Is it life threatening or a nuisance? Generally we suggest our clients prepare to do at least 10 sessions for very challenging situations. One client with a severe birth defect had never walked. It took her over 30 sessions to be able to walk with crutches. Please note this was an extraordinary result and we cannot possibly guarantee such results. We include it here just to give you a sense of how anything is possible when the deepest issues are addressed. Many practitioners will offer a 3 session package as a way to introduce the Hurqalya Method™. Some issues can be cleared up immediately, of course, but 3 sessions is a nice way to get started. You will get a great sense of the depth of this style of healing. Can this be done long distance? Yes, many practitioners work long distance with clients. Sometimes they will work when you are not aware of it, and other times they will schedule a time and place and do the Hurqalya Method™ while interacting with you over the phone or by Skype. The choice of style will depend on your desires and the assessment by the practitioner. Both styles have shown remarkable results by our practitioners. Yes, your treatment is completely confidential. We won’t rent or sell or give your name or information to anyone. Will this interfere with my medical treatments? What we find is that the Hurqalya Method™ enhances any medical treatments. We have never seen any interference whatsoever. Medical treatments work on the level of the body. We work on the level of your energy systems. Frankly it is difficult for any medicine to work well when the energy system of the body is out of balance. There is a saying in India: “When the karma is over, the medicine will work.” Karma actually means action – or we could say, energy. When the energy systems are balanced and healed, the karma is over. Then the body will restore itself. Good medicine and good herbs will help in that process. Should I stop taking medicine while I am getting Hurqalya Method sessions? We suggest you continue taking any prescribed medicine. In addition to taking your prescribed medicines, we suggest balancing your energy body through the Hurqalya Method™. Faith works at the interface between our hearts and our minds. We create balance at that level, and even at much deeper levels. Deep patterns can be healed and changed allowing for amazing results to our hearts, minds, and bodies. There is very solid science supporting energy healing. Energy healing is the wave of the future. Sessions can be done long-distance. Typically, a session lasts about an hour. Sessions are comfortable, private and easy.